Doing things right is a question of Method. Since 1886, we’ve been committed to bringing the authentic pleasure of Italian cuisine to tables throughout the world, with great responsibility and without compromise. We are the keepers of an ancient tradition characterised by passion for our work and attention to every single detail. 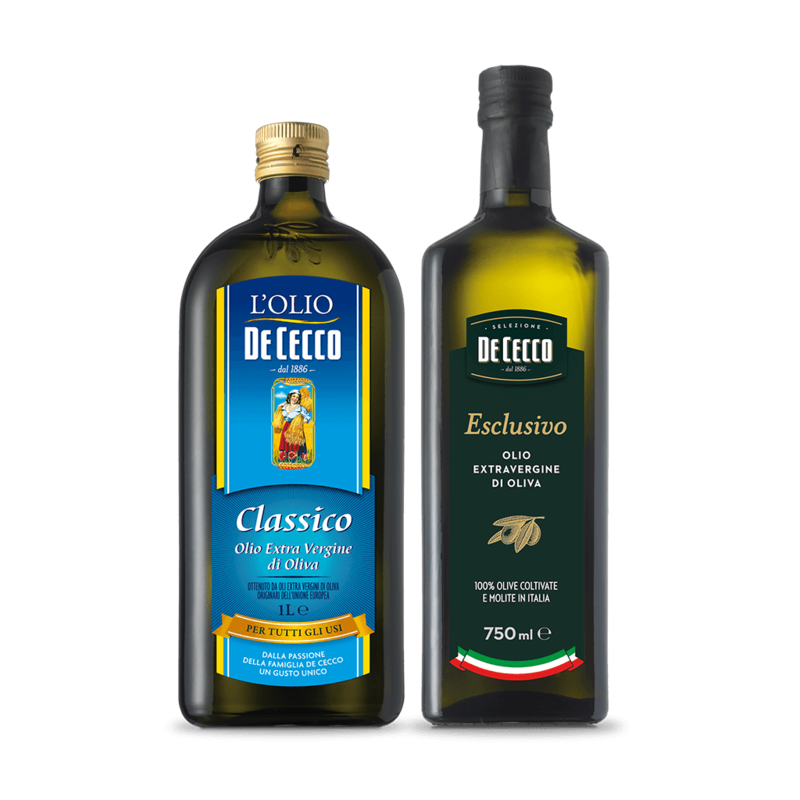 It’s our way of doing things well: #AllaDeCecco. Ours is a story of passion, tradition and determination, characteristics typical of the Abruzzi territory. 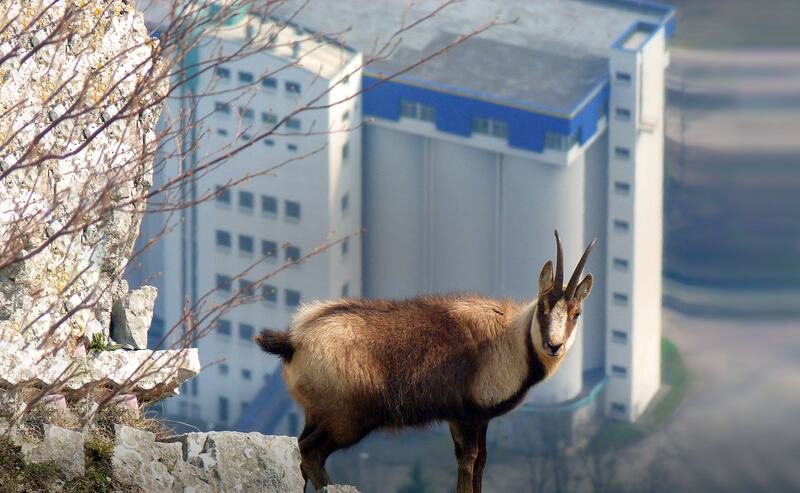 Our production facilities in Fara San Martino have forever been nestled between the majestic mountains of Majella. 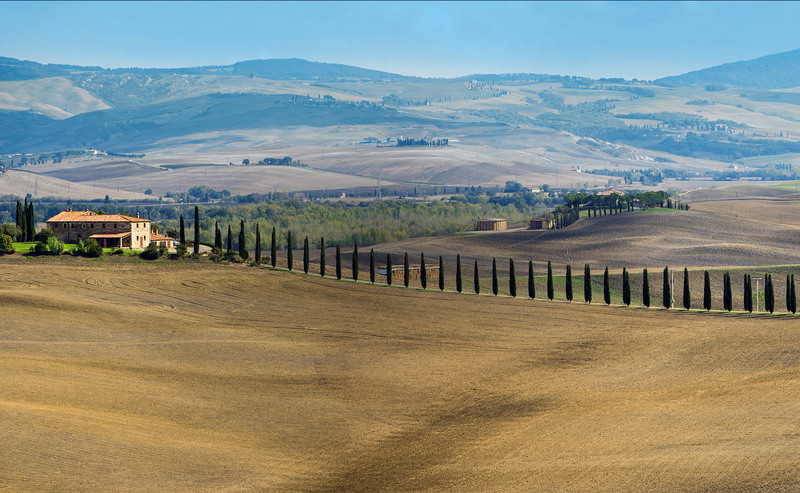 This is where the De Cecco working Method was born, unique to its kind, just like these locations. 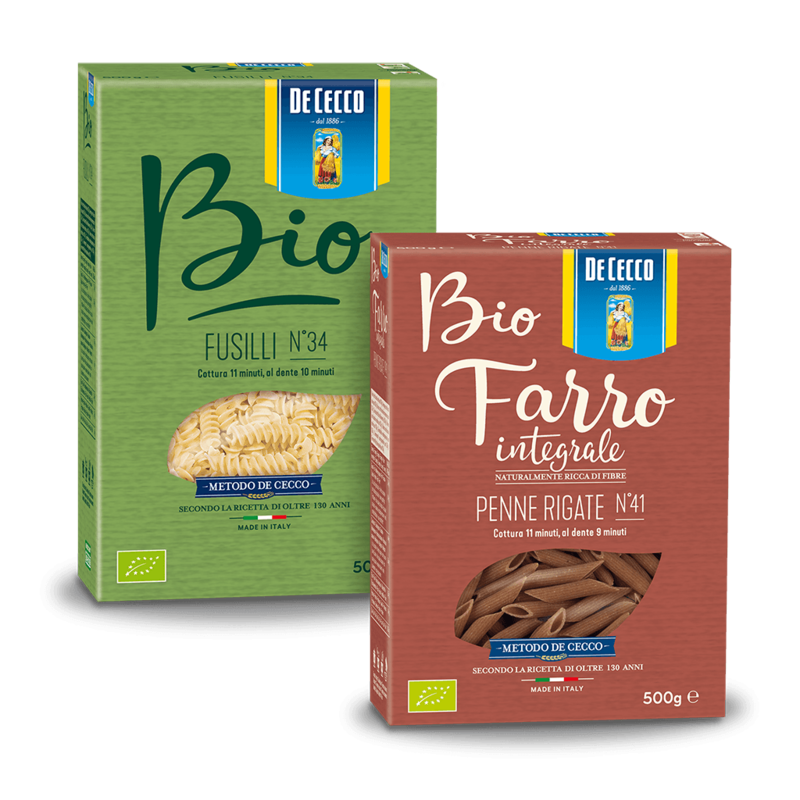 We have forever sought and selected only the best durum wheat, both in Italy and worldwide. 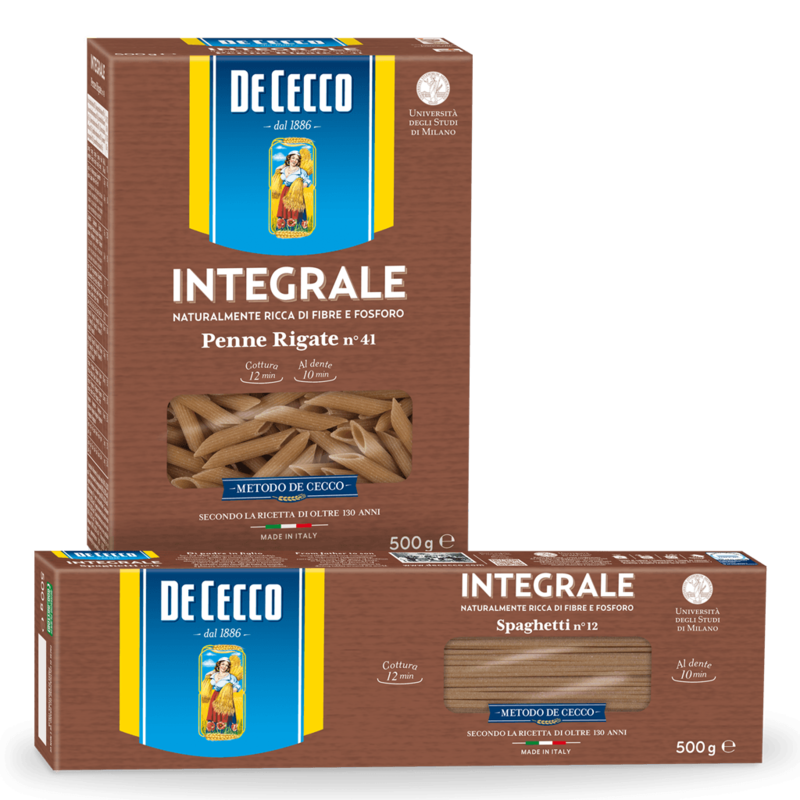 Choosing only the best primary materials is the first step, the most important one, in creating a pasta unique to its kind. This is one of the distinguishing factors setting our pasta apart from the others. 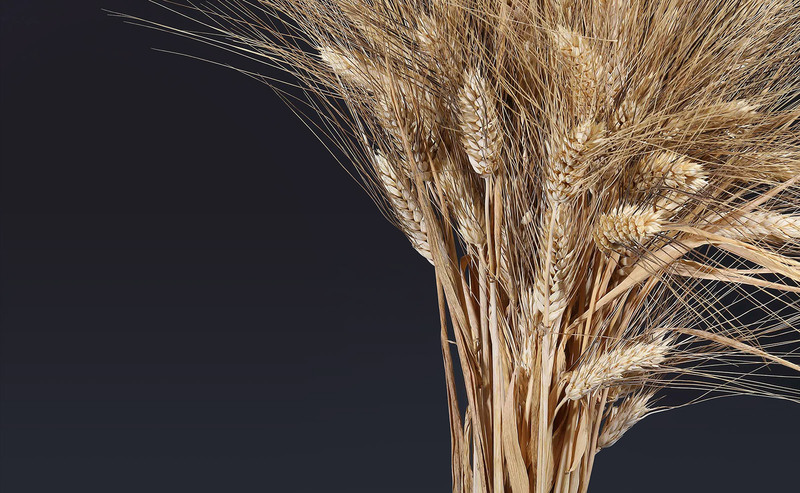 Our experts select the primary materials by touching the quality of durum wheat first-hand. They do so before the harvest is collected, while its still in the fields, before being sent to the Fara San Martino Mill. 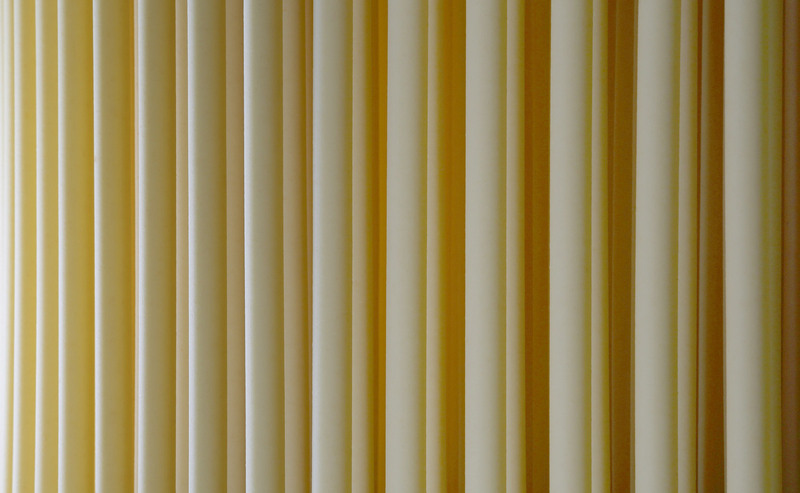 Because quality is perceived in the blink of an eye, in the shade of amber and the fullness of the grains. After being selected on the field, the wheat must pass our strict laboratory controls, making sure it is perfectly wholesome and meets the highest quality standards. The lab technicians inspects its purity, appearance and all physical and chemical characteristics of the grains. 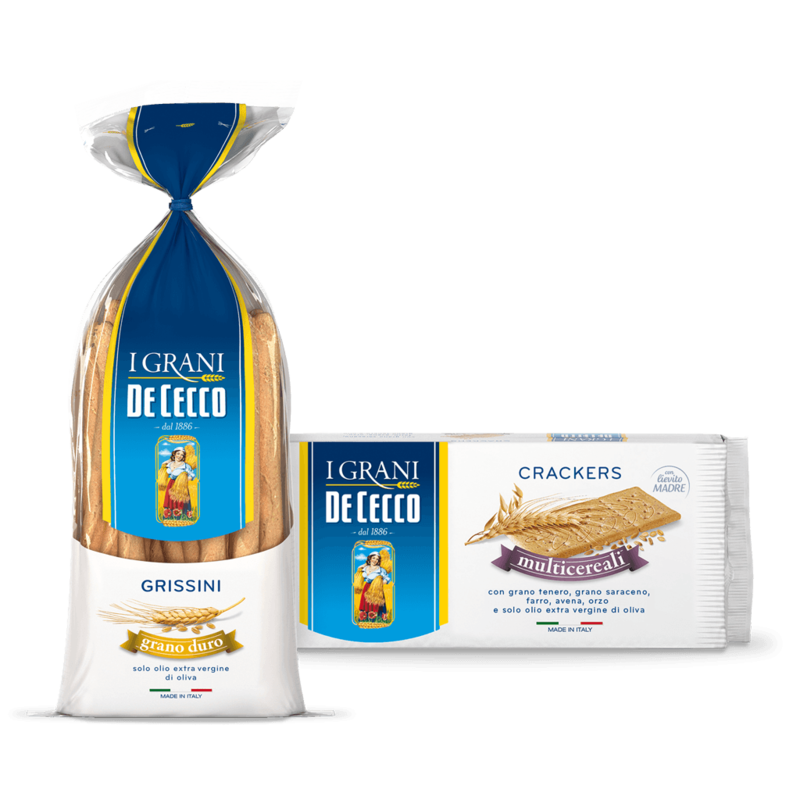 To eliminate all doubt, in addition to the numerous analyses, we also add the experience of an ancient ritual: a final bare-handed gluten test, through the owners’ expert touch, to check the tenacity and elasticity of the primary product. The different wheat varieties will now be mixed to create the perfect balance of flavour, colour and perfumes, typical of our pasta. 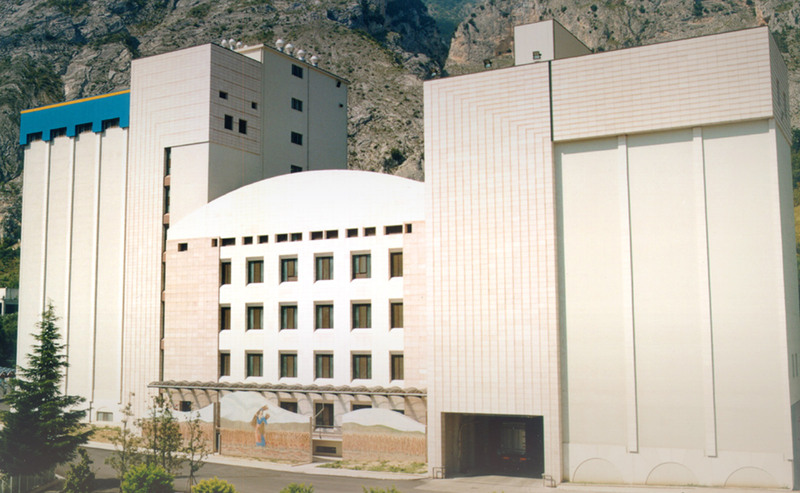 We have been millers for almost two centuries, since back in 1831 when Don Nicola De Cecco produced “the best flour in the county” in his stone mill in Fara San Martino. And we are proud to have kept this tradition alive. To guarantee fresh semolina all the time, we grind the wheat in our own mill, right next to the pasta factory, floating with intense and delicious aromas. During the milling process, the grains of wheat are “stripped” of their surface layer until reaching the central, most valuable part. And it is this very strategy of getting “straight to the heart” that explains our low grinding output: 100 kg of wheat per day to obtain about 65 kg of semolina, instead of a possible 80 kg. 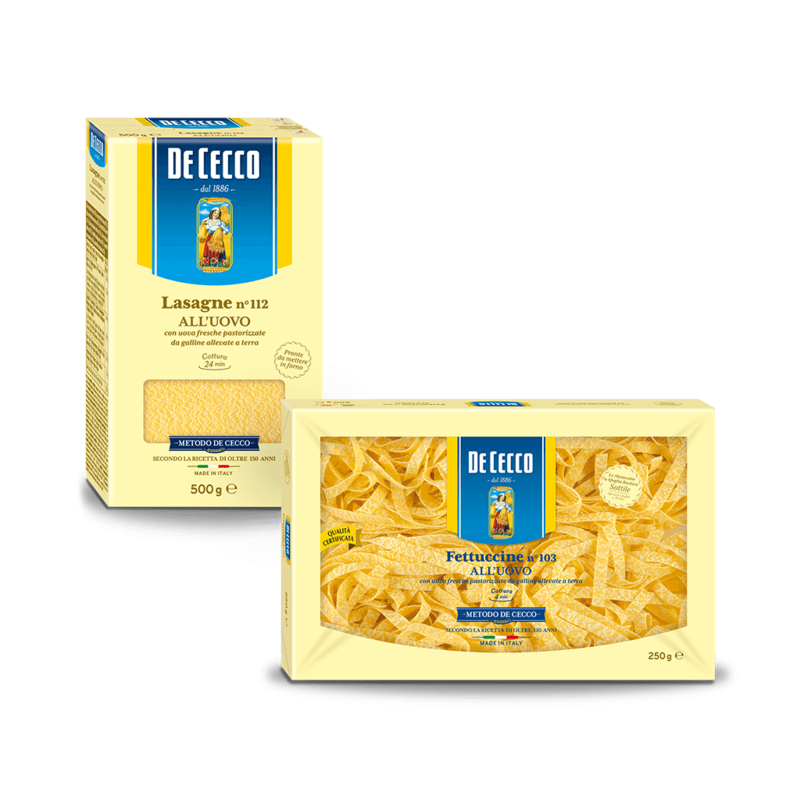 Only using this approach are we able to develop a truly #AllaDeCecco pasta. 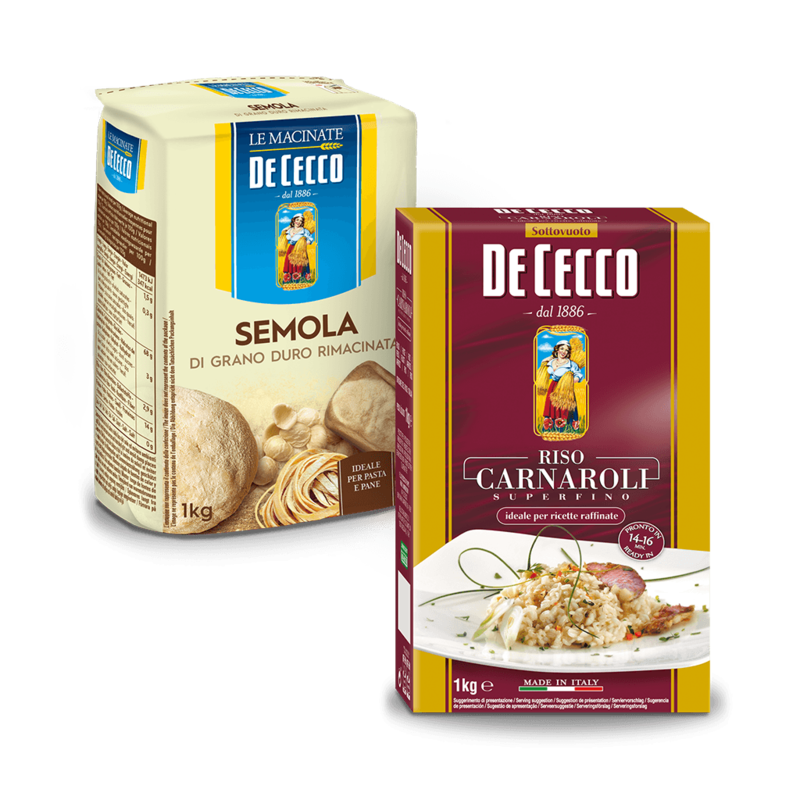 So as not to damage the grains, our grinding process produces semolina having a larger particle size compared to that normally used to produce pasta. Coarse grain semolina is difficult to process: it takes longer to be completely hydrated by water. 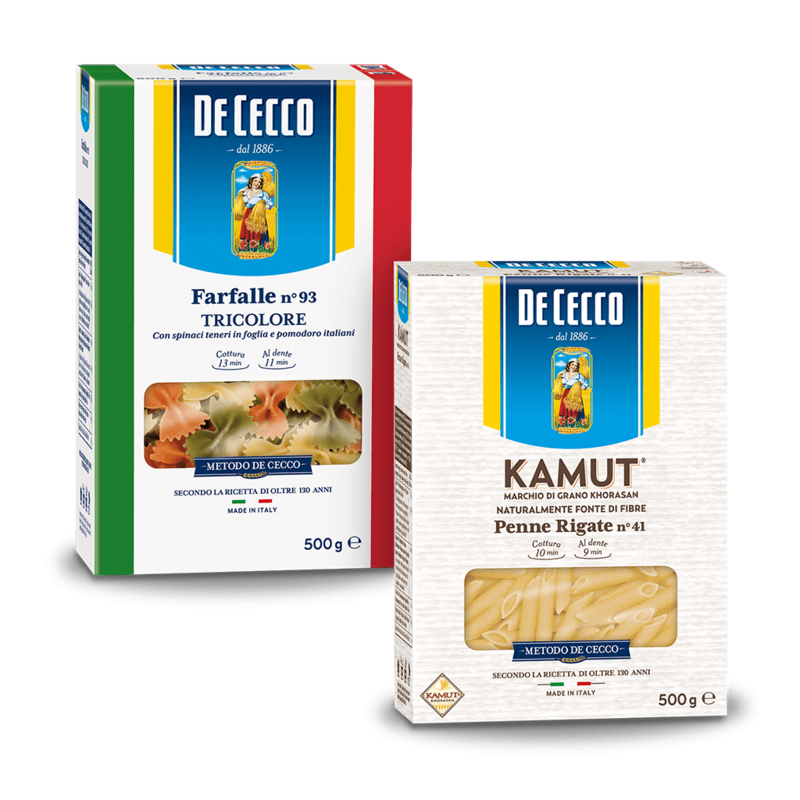 Pure, cold mountain water is constantly flowing under the pasta factory, from the De Cecco® Spring, which flows right into our facilities. 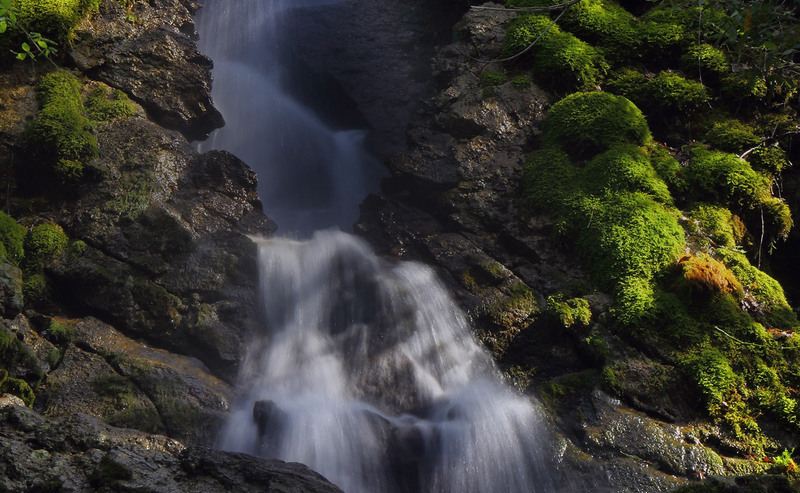 At Fara San Martino we knead the semolina using this water alone, at a temperature of less than 15°C. This slow working method better respects the primary material, preserving the integrity of the precious gluten network. 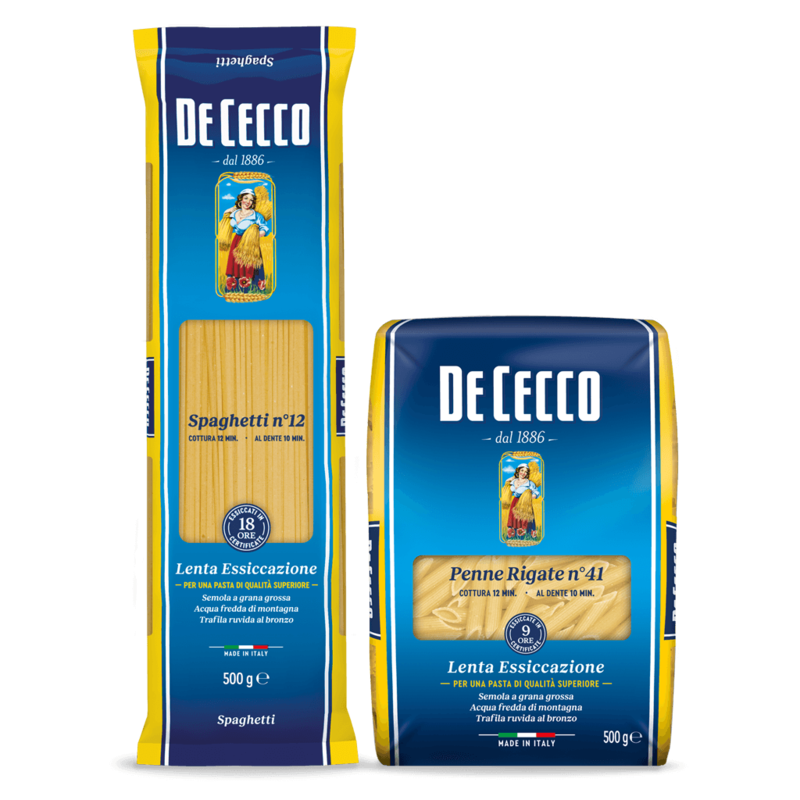 If you run your finger over a De Cecco Penna or Spaghetto, you will notice that the pasta has a slightly rough feel, the result of the bronze-drawing process. Although technological progress has offered faster and cheaper solutions, we have continued to use bronze draw-plates and to defend this processing method. Because it’s the only one that makes the pasta naturally rough, porous and able to absorb every type of sauce. 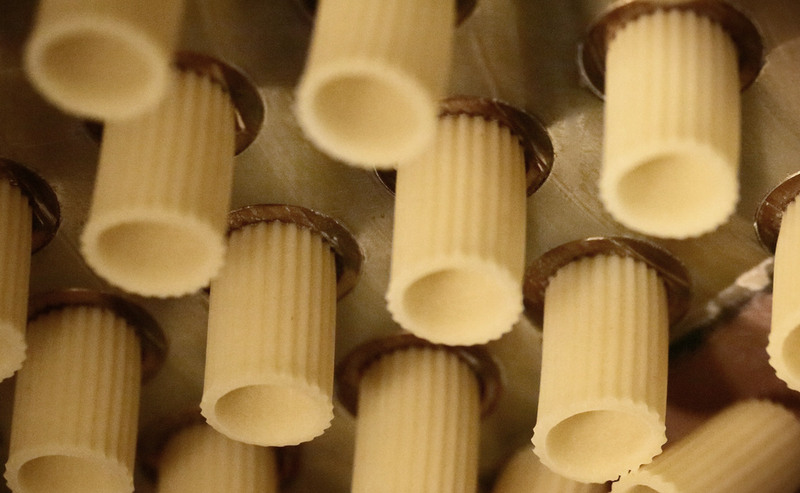 Pasta was traditionally dried under the sun, thus exposing it to variable temperatures in poor hygienic conditions. 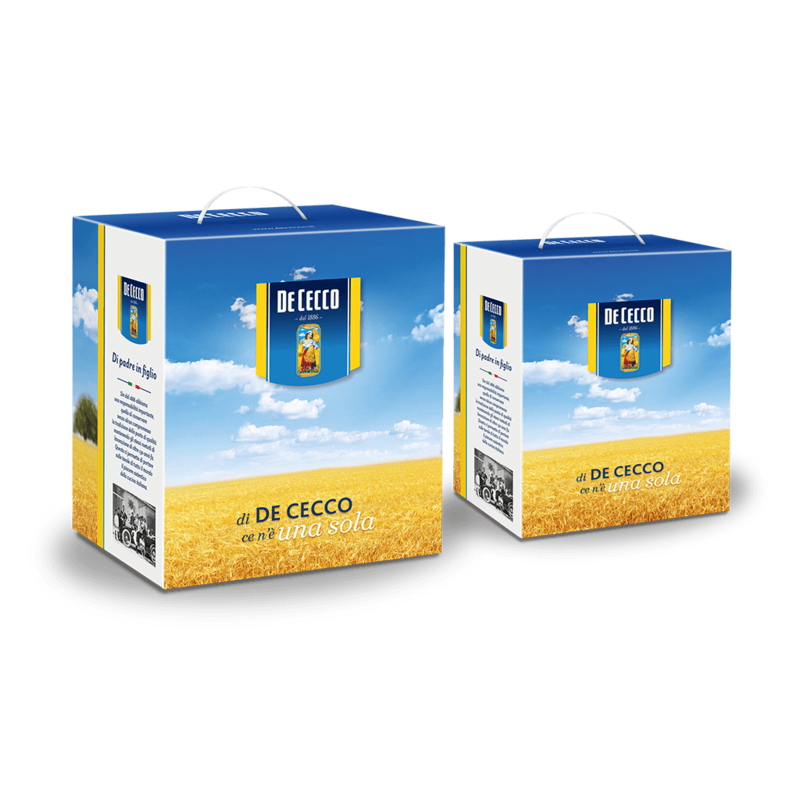 It was Filippo Giovanni De Cecco, back in 1889, who perfected the first warm-air drying plant. 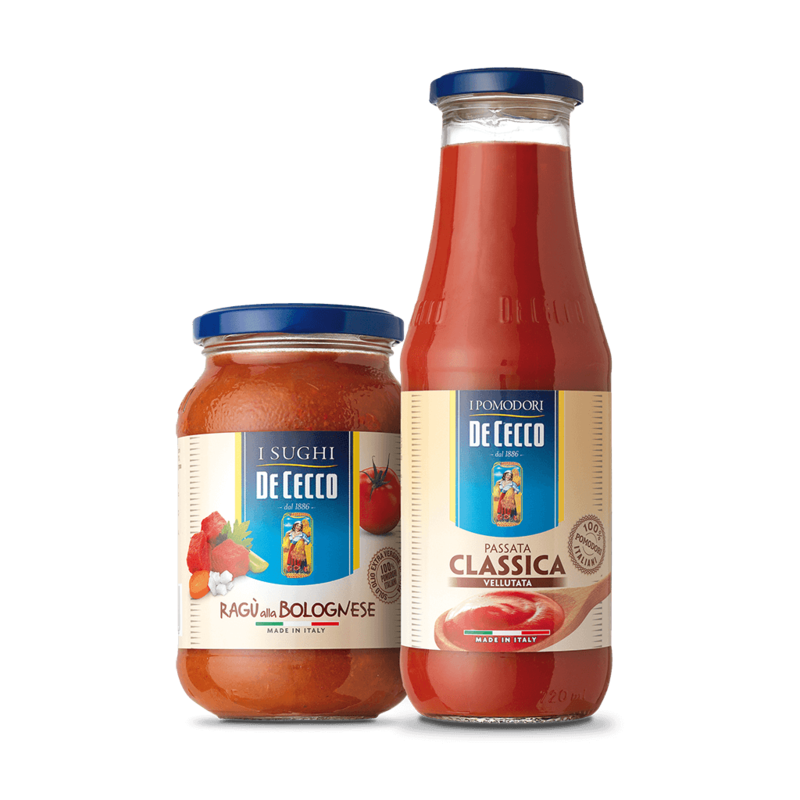 An innovation of historical importance, which earned the founder of De Cecco a place in the Treccani Encyclopaedia. This is who how we keep the sensory properties of the wheat intact and enhance the nutritional qualities of our pasta. To the point where some formats take 40 hours to dry.